The following is an article by Erik Solheim, UN Environment Executive Director and Under-Secretary-General of the United Nations. Shortly after the introduction of the world’s first synthetic plastic, a magazine published the prediction that one day this magic material would make up everything we touch, see and use. They were wrong, but not by much. More than 100 years after its invention, humanity is addicted to plastic. The benefits of plastic are undeniable. It’s cheap, lightweight, durable and easy to make. It can be used in thousands of different ways. Our food lasts longer because of it. Modern medicine would not exist without it. But the very properties that have made plastic so revolutionary have created a cycle of irresponsible production, over-consumption and waste. Today you’ll find plastic where you least expect it, including the foods we eat, the water we drink and indeed the environments in which we live. Once in the environment, it enters our food chain where, increasingly, microplastic particles are turning up in our own stomachs, blood and lungs. Scientists are only beginning to study the potential health impacts. Since we began our love affair with this now ubiquitous material we’ve produced roughly 9 billion tonnes of plastic. Roughly one-third of which is single-use. The straw in your drink might be used for less than 20 minutes. A plastic bag will be used for less than an hour. These days most consumers are familiar with images of beaches and rivers packed with plastics. Unlike other environmental challenges, sceptics are hard pressed to refute the reality of what we can see with our own eyes. Instead, the counternarrative aims to undercut the urgency of efforts to beat plastic pollution. More important issues demand our attention, some say. But let there be no doubt: We are on edge of calamity. Set aside the harm to wildlife, the threat to biodiversity and the risk to human health, our addiction to plastic is a defining environmental challenge for our time. We have precious little time to deliver real change before the rising tide of plastic outpaces our ability to manage a solution. Current projections show that global plastic production will skyrocket in the next 10-15 years. With a booming population driving demand, production is expected to reach 500 million by 2025 and a staggering 619 million tonnes by 2030. The next time you see scenes of plastic choking a river or burying a beach, consider double that impact in just over 10 years. That’s why the United Nations Environment Programme is dedicated to a simple yet ambitious goal: Beat Plastic Pollution. Avoiding the worst of these outcomes requires more than awareness, it demands a movement. First citizens must act as both responsible consumers and informed citizens; demanding sustainable products and embracing sensible consumption habits into their own lives. Individuals are increasingly exercising their power as consumers; turning down plastic straws and cutlery, cleaning beaches and coastlines, and second-guessing their purchase habits in supermarket isles. If this happens enough, retailers will quickly get the message to ask their suppliers to do better. But the reality is that individual action cannot solve the problem alone. Even if each one of us do what we can to reduce our own plastic footprint – and of course we must – the current tide of single-use plastic is overwhelming. Consumers must not only be actors but drivers for the behaviour change that must also happen upstream. We’re calling on every plastic consumer to exercise their buying-power by refusing single use-plastics. We’re calling on every plastic manufacturer to take responsibility for their products polluting the environment today and make immediate investments in sustainable designs for tomorrow. And finally, we’re calling on every government make common sense commitments through legislative action designed to curb the production and use of unnecessary single use plastics. Those who say there are more important environmental crises to tackle are mistaken. In today’s world, protecting our environment is not about choosing one issue above another. The deeply interconnected systems that make up the natural world defy such a narrow-minded approach. Beating plastic pollution will preserve precious ecosystems, mitigate climate change, protect biodiversity, and indeed human health. Confronting this crisis of convenience, is a fundamental battle that must be fought today as part of the broader struggle for a sustainable tomorrow. 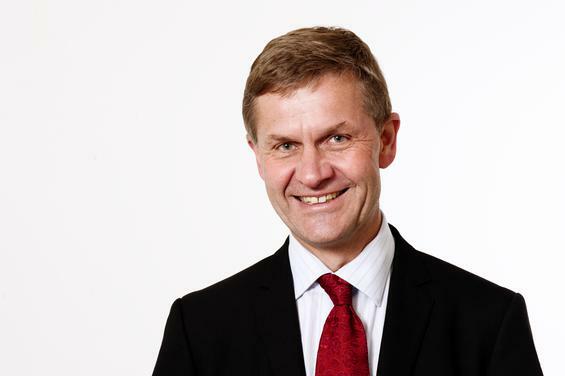 Erik Solheim was elected to become Executive Director of the UN Environment Programme in 2016. Prior to joining UNEP, Solheim was the chair of the Development Assistance Committee of the Organization for Economic Co-operation and Development. From 2007 to 2012, he held the combined portfolio of Norway’s Minister of the Environment and International Development, and from 2005 to 2007 served as Minister of International Development. He has also served as UN Environment’s Special Envoy for Environment, Conflict and Disaster since 2013 and a Patron of Nature for the International Union for the Conservation of Nature since 2012.